Each country has its very own specifications and customs when it comes to foreign visitors and tourists. Here we’ve put together a list of things you should definitely consider doing while you are on your holiday in Bulgaria. 1. Do NOT limit your tourist experience by visiting only the big cities of the country. It is true that larger towns in Bulgaria have a lot to offer in terms of tourist attractions and sites. But if you visit only the famous ones such as Sofia and Plovdiv you are guaranteed to miss out on all of the beautiful, charming, picturesque but smaller cities and villages. In case you want to truly capture the spirit of the country and experience it to the fullest then you should probably head to locations such as Melnik, Elena, and Bryastovets. Melnik is famous for being one of the smallest cities in Bulgaria and is famous for the stunning nature, surrounding it. Elena is one of the famous mountain resorts in the country. It is situated in Stara Planina, near Veliko Tarnovo. The city is famous for its unique cuisine. Bryastovets is a village located near the seaside and Bourgas. Unlike the other two resorts, Bryastovets combines the advantages of both mountain and seaside tourist destinations due to its location. Most of you would probably wonder why a village as small as this would be a better destination than cities such as Sofia. Well, the answer is simple. Not only is Bryastovets situated in a preserved rural area, that will deliver a quality relaxation experience, but it also provides visitors with that authentic feeling of safety, peace, and serenity that only smaller villages possess. To top all of that the place has a great variety of private villas with swimming pool for rent from which you can choose from in order to secure the best holiday experience possible. Fore more information on holiday in Bryastovets – click here. Well, you know how all around the world people nod whenever they mean to say “yes” and shake their head for a “no”? In Bulgaria, things do not work exactly that way. We Bulgarians really go out of our own way in order to stand out and in this case, we really succeeded. So it is no surprise that many tourists here find it really confusing when someone smiles invitingly at them and at the same time shake their head as if they refuse something really vigorously. Keep that in mind whenever you set foot in Bulgaria – we actually agree with you when we shake our heads. 3. Do NOT forget to tip. No matter where you stay – in a rental villa with swimming pool or in a holiday apartment in Bourgas – you will still have to face one of the hardest things for tourists and that is tipping. Since in some countries tipping is something unusual or settled in the bill tourists get really confused with the matter. Well in Bulgaria tipping is – if not anything else- expected! Usually, waiters at restaurants expect a tip of around 10 – 15% of the check. But it is all up to the client to determine the tips. What usually stuns visitors in Bulgaria is the fact that taxi drivers and gas station workers also expect a tip. So maybe keep that in mind next time you travel to the country. For more information on tipping in Bulgaria – click here. 4. Do NOT forget to visit Bourgas. As you probably already acknowledged Bourgas is one of the main Black-sea-cities in Bulgaria. There are plenty of relaxation options near the city such as rental villas with swimming pools and holiday apartments that provide immaculate vacation experience. That all is amazing but while on your holiday in Bulgaria do not miss on the opportunity to wander around the sea gardens of the city, to explore the symbols of the city, the Compass and Clock, to take a walk down the pier on sunset and gaze at the sun as it sets behind the lighthouse. There is a lot more to be seen and explored in Bourgas. Those were just a mere few suggestions but the town is not to be missed under any circumstances. 5. DO experience the healing properties of Bulgarian mineral water and the Pomorian mud cure. If there is one thing Bulgaria is famous for – aside roses- is the mineral water. The country is rich in mineral springs and their healing properties have been scientifically proven. Keep that in mind whenever you find yourself on your Bulgarian holiday. You probably have never looked at Bulgaria as a potential spa destination but maybe now is the perfect time to do so. With its limitless supply of mineral water and numerous springs all over its territory, the country is really growing to its full potential as a spa tourist destination. The good news is that no matter where you are – in the capital, in Plovdiv or in Sunny Beach – there are spa resorts scattered everywhere in the country. If you are staying in any of the rental villas near Bourgas you may as well consider visiting Pomorie since there you can find a unique remedy that comes straight from the sea. The Pomorian mud is a tourist favorite. People from all over the world gather in that particular spot every year just to enjoy them, rich in magnesium, mud. It helps with any possible condition. It even cures inflammation and has antiseptic properties. So do not forget to give those natural health remedies a try! You are guaranteed to return home from your holiday more refreshed and healthier than you were when you left. For more infprmation on the healing mud – click here. Most tourist that come to Bulgaria assume that Bulgaria’s currency is the Euro since the country is a member of the EU. In fact, the currency in the country is the Bulgarian Lev (BGN). Usually, one Euro equals 2 BG Levs so keep that in mind whenever you plan your trip to Bulgaria. The best advice is to change some currency in advance and come to the country prepared. If that is impossible find a change office that works with the actual, or closest, the exchange rate to the actual such. You can keep track of the exchange rate through the internet and the numerous apps created specifically for that purpose. For more information on currency in Bulgaria – click here. In some countries, such as Tukey, bargaining is part of the whole shopping process. And it is considered rude if you do not at least attempt to bargain. In Bulgaria, it is a completely different story. Here it is considered really rude for anyone to attempt bargaining in shops. If you find something way too pricy just find a place that offers a cheaper alternative. It is not a hard task here in Bulgaria, especially on the seaside, to come across a local, cost-effective, affordable place to shop. Have you come to Bulgaria by car? If you did, DO NOT FORGET to acquire a travel sticker. In Bulgaria, road tolls are paid in a slightly different way than that in most countries in Europe. Here we use a vignette sticker that used to be glued to the windshield of the car (nowadays they are electronic). You can get hold of one in any gas station or post office. 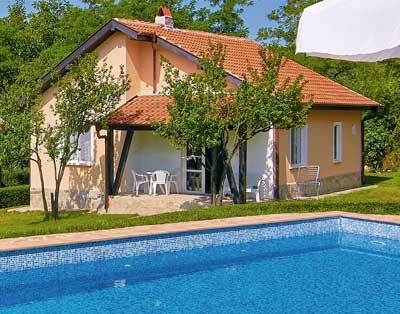 The price range varies depending on the duration of the permission to use the Bulgarian roads. The typical price for a monthly vignette sticker is around 15Euro. For more information on Bulgarian Vignette stickers – click here. It seems quite convenient to order dinner from a worldwide famous takeaway brand to your rental holiday apartment in Sunny Beach or Burgas, but why would you have something so typical?! While you are on a vacation in Bulgaria do not miss the chance to submerge yourself in the culinary culture of the country. There is no place like Bulgaria that combines both the rich flavors and aromas of the oriental cuisine and the technique and products of the classical western culinary schools. Just get yourself out there and enjoy the pub food and the traditional Bulgarian cuisine. While there is not much to recommend in terms of pub food since it is quite similar worldwide, traditional Bulgarian meals are a completely different story. It would be a shame to visit Bulgaria and never try the classic Shopska salad and Tarator. Both of those starters are a tourist favorite. With their refreshing taste, they are the perfect accompaniment for a glass of burning hot Bulgarian Rakia. Moving on from starters to the main course, definitely try the bob chorba (beans soup), moussaka and banitsa. The heritage of those signature dishes has been wildly argued upon but we, Bulgarians, tend to believe that all of them are our original, extremely tasty and succulent creations. For more information on Bulgarian local cuisine and food – click here. Since we’ve already addressed the food topic it would be a shame to miss the opportunity to remind you of the Bulgarian yogurt. You may think you have tried it from your local supermarket, but there is nothing that can top the richness, taste, and creaminess of the Bulgarian yogurt. It’s undisputed benefits to the body are numerous but what truly matters to most tourists is that it keeps them refreshed in the burning Bulgarian heats. A fun fact is that Bulgarians consume more than 400 000 tons of yogurt each year. For more information on Bulgarian yogurt – click here.